In the report “Mobile Payments Enter a Disruptive Phase,” Forrester analyst Thomas Husson says that only 12% of adults in the U.S. and 6% of adults in Europe have made transactions from their phones. Still, Forrester finds that mobile payments “have the potential to disrupt existing payment systems.” The speed in which this disruption takes hold of the industry, however, may be slow going. When we talk about mobile payments, we’re really talking about two different types of solutions. The first is to use a mobile network to initialize and authorize a transaction. This can be done using SMS or carrier billing. The second type involves the burgeoning NFC and contactless mobile payment systems. 2011 promises to be the year that NFC devices will ship en masse. Already RFID and NFC pilot programs have been tested by companies like Visa and Bank of America. Still, the first wide-scale demonstration of NFC and contactless payments probably won’t occur until the 2012 Olympics in London. 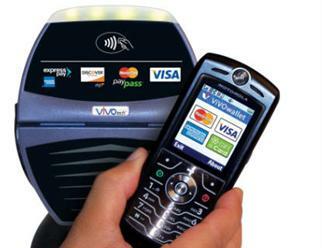 Forrester says it likely will take until 2013 through 2015 for mobile payments to exist in a cross-market, interoperable way. For a Sunday Night Smile!!! This is the best dance ever!! !